In the business community, people in pursuit of high profits, the apparel industry is the same. 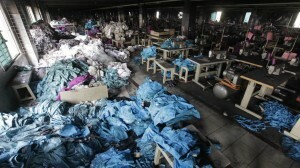 All brands are want clothing manufacturers provide cheap products. But many people overlook one thing that working conditions. Many people understand improve the working conditions of employees, will increase the cost of the factories, which will be reflected in the corresponding part of the cost in the price of each piece of clothing. So we should blindly reduce costs? The answer is no. Product pricing is complex, of course, cost is a very important part, but also by brand, market effects and the impact of brand positioning, it alone can not effectively reduce costs and increase profits. 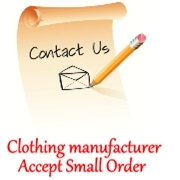 As we all know, clothing manufacturers worldwide, almost all distributed in China, Vietnam, and Bangladesh. Good working conditions can bring a range of benefits, product quality, transport speed, brand reputation, service quality, service, and so on. China's garment manufacturers generally satisfy the most demanding brands made and has a considerable advantage of the traffic channel. The most important is that China has a sound legal constraints apparel orders after the risk, you can protect the legitimate interests of both sides. These are garment manufacturers in Vietnam, Bangladesh can not do. Vietnam and Bangladesh garment manufacturers in the pursuit of low production costs, compress the rest of workers, reducing workers' enthusiasm for production, prone to product quality issues. And transport and legal situation of these two countries is worrying, unable to quickly and accurately perform service. The good news is that more and more brands to see this problem, select the Chinese garment manufacturers as partners, and rapid development. Such as Japan's fast-fashion brand Uniqlo, not only in cooperation with China's garment manufacturers, but also help improve the working conditions of these plants. 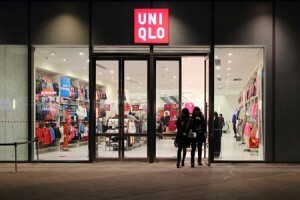 Uniqlo is correct, you can choose a partner to provide high quality clothing is very important, as it relates to your clothing brand is a healthy development.